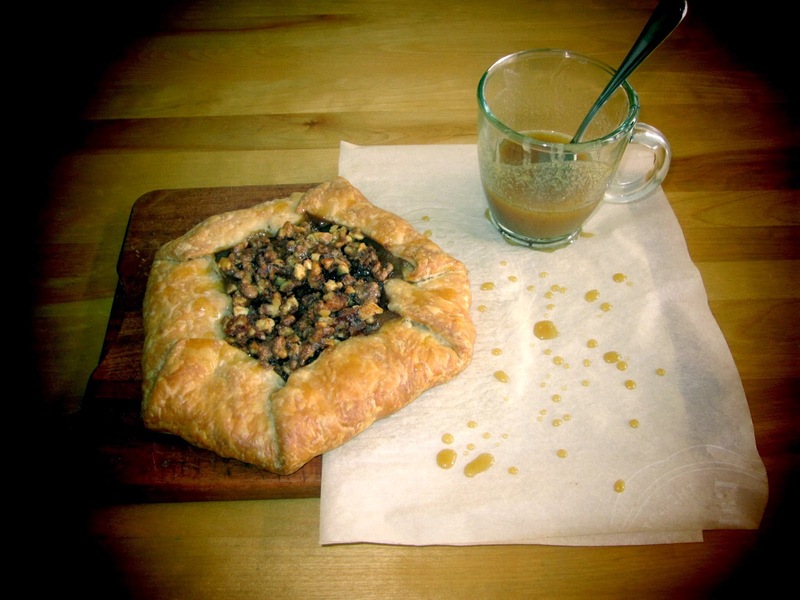 Today we’re talking about Galette, a fancy French word for free-form tarts. 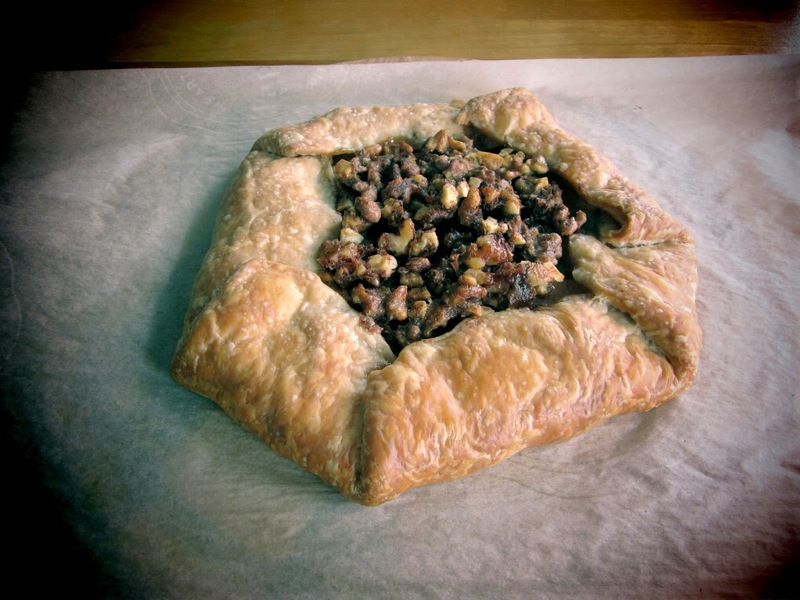 These rustic pies can be large or individually sized, sweet or savoury and made with any filling you can imagine. Plus, they are ridiculously easy to make; you don’t need a pie plate or any special gadgets. This Galette would be perfect for dessert, served warm with vanilla ice cream, or as part of brunch. Whisk the flour, sugar and salt together in a large bowl. Using a standard box grater, grate the frozen butter into the flour and toss lightly with your fingers until it’s thoroughly combined. Sprinkle in the ice water and stir with your fingers, mixing and firmly kneading until the dough comes together in a ball. Wrap in plastic wrap, flatten and chill for at least 30 minutes, or even overnight. 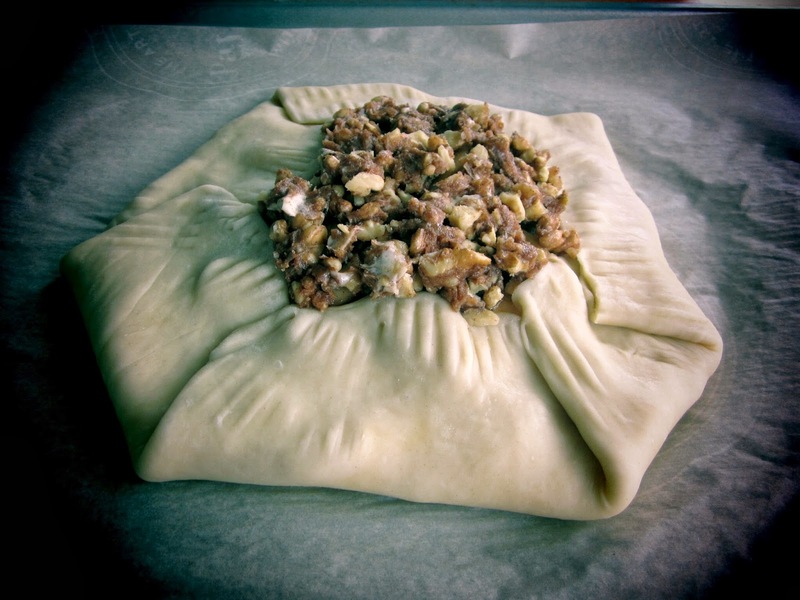 Remove the pastry from the refrigerator and allow it to warm slightly, just until it’s pliable. Lightly flour your hands, the rolling pin, your work surface and the dough. Starting at the center of the dough, roll it out forming a 14-15-inch wide circle. Place the dough on a large baking sheet lined with parchment paper, cover with plastic wrap and place in the refrigerator until you are ready to assemble your Galette. Next, make the Butterscotch Sauce. In a medium saucepan, melt the butter over low heat. Before the butter is completely melted, stir in both sugars. Gently cook for about 5 minutes, stirring occasionally until the mixture is smooth. Add the milk and whisk until combined. Increase the heat to medium and cook for 8 more minutes, whisking occasionally. Remove from the heat and let cool for 10 minutes. Stir in the whiskey, salt and set aside. Pre-heat your oven to 350. In a bowl, combine the filling ingredients and set aside. In a small bowl, combine the flour, brown sugar, cinnamon, nutmeg and butter. Rub together with your fingers until the ingredients come together to form a streusel topping. Add the chopped walnuts and mix. Take the pie dough out of the refrigerator and arrange the apple slices in a spoke pattern on the Galette dough, leaving a 2-inch border. Pour a few spoonfuls of the Butterscotch sauce over the apples and spread evenly. 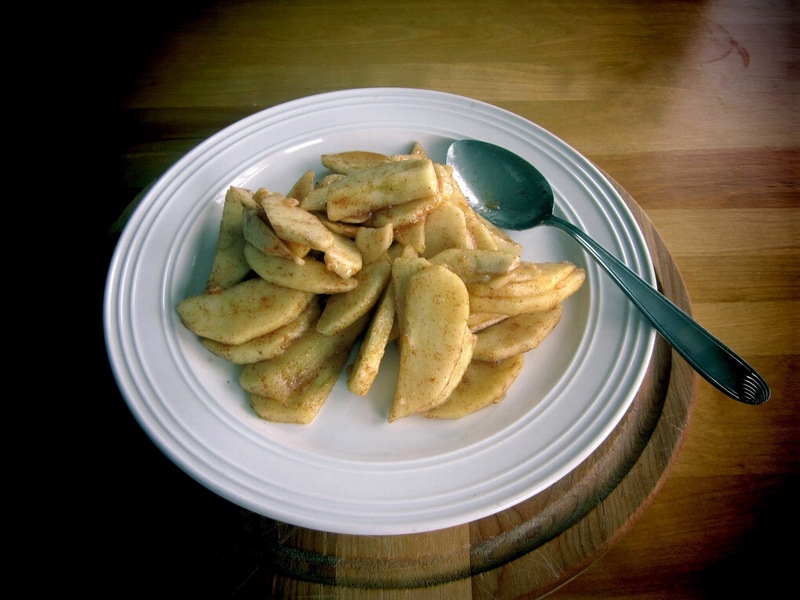 Fold the dough up and over the apples, creasing every inch or so. Sprinkle the cinnamon streusel topping over the apples. 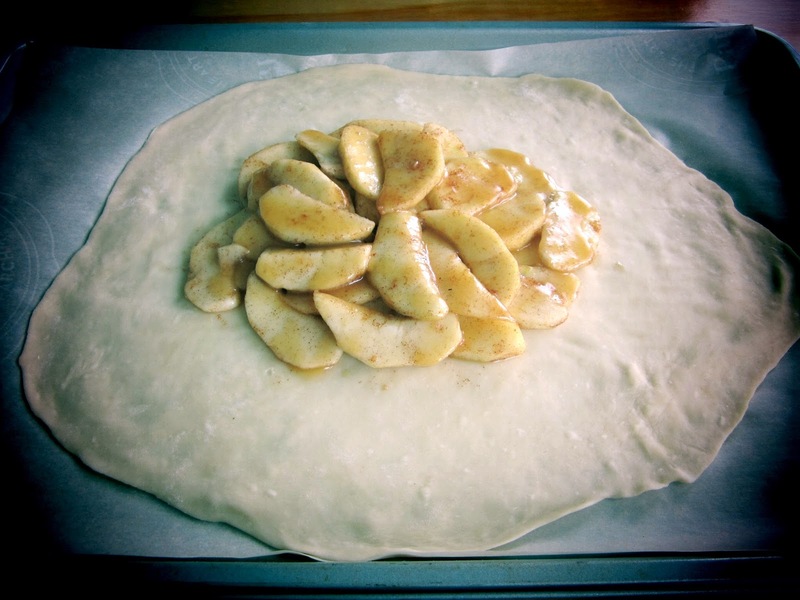 Bake the Galette for 45 to 50 minutes, or until the apples are tender and the crust is golden brown. Transfer the baking sheet to a wire rack to cool.